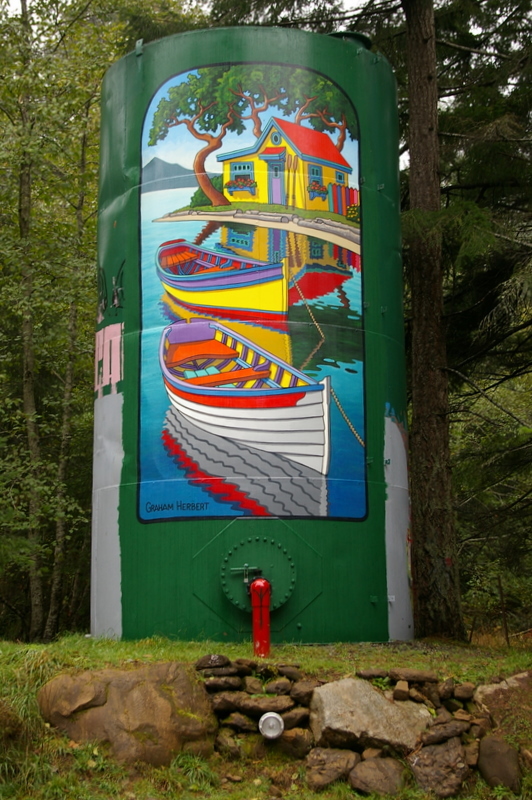 The tank at the bottom of Sollans had its plumbing completed last week and the Chief was able to fill it by pumping it full of groundwater. That leaves only the tank at the top of Euston Road to be completed before all of our new tanks are in service. 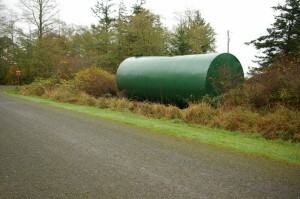 For a list of all of our tanks have a look at the water supply page. Jed has finished with the plumbing on another water supply tank, we have pumped it full of water, and it’s now ready to be used. Sure, the landscaping leaves a bit to be desired, but that will get fixed up when the ground dries out a bit. We’ve been really lucky that there has been enough groundwater near the new tanks that we have been able to pump directly into the tanks instead of shuttling 15 loads per tank from the fire hall. The next tank to come on line will be at the corner of Sollans and Brigantine. The ground is pretty wet there right now, so we’re hoping that we can fill it with the portable pump as well. Stay tuned. Our contractor has completed the installation and plumbing our latest water storage tank at the corner of DePape and Porpoise. The tank has been filled over the last few days and is now fully functional. Normally we would fill the tank by shuttling 15 loads of water from the fire hall to the tank with our tanker. Fortunately, with all of the recent rain, the creek beside the tank has been running quite strongly and we were able to fill the tank with a portable pump. When the ground dries out a bit the contractor will return to fix up the landscaping. Look for another fantastic mural by a local artist shortly after that. Perriwinkle Road is next in line for plumbing and filling.